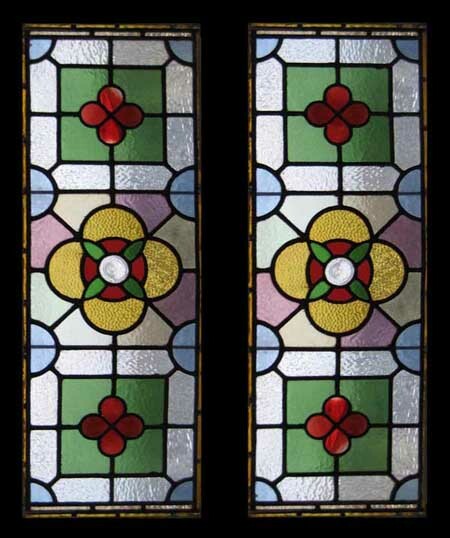 These Beautiful Antique Victorian windows have outlived the original frames, and have been re-housed in substantial SEPERATE pine frames . Removed from a property in PENDLE LANCASHIRE. GREENS - BLUSH RED - GOLD - PALE BLUE WITH STUNNING RONDEL CENTRES. Of English origin from around the 1899 mark.